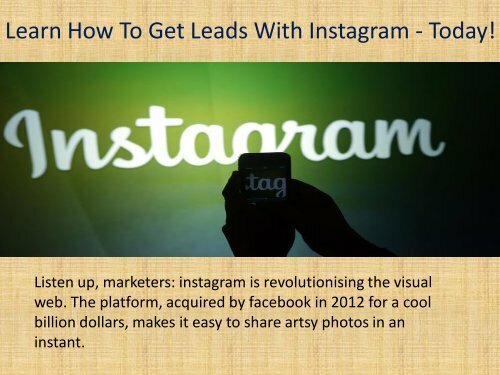 Learn How To Get Leads With Instagram - Today! Listen up, marketers: instagram is revolutionising the visual web. The platform, acquired by facebook in 2012 for a cool billion dollars, makes it easy to share artsy photos in an instant.